This beautiful apartment is situated in of Quay 29, the 2nd phase of the Kings Wharf Development. Perched right on the small boats' marina, Kings Wharf offers an idylic location, where the buzz of the town meets the serentity and peace of the Queensway marina. Residents benefits from the ability to be within walking distance to main street and shops, whilst still being on the waterfront. The property comprises two ample bedrooms and two bathrooms, one being an ensuite, with a west facing, open plan living/dining toom and kitchen. Kitchens are fitted with top of the line appliances, including integrated fridge/freezer and dishwasher. Hardwood flooring has been fitted throughout the apartment with sleek porcelain tiles in the bathrooms. The living room adjoins a south/west facing terrace, complete with views towards the swimming pools. The living area and master bedroom look west toward the sea. Quay 29 will offer residents a state of the art gymnasium, marina-facing swimming pool and stunningly landscaped communal gardens. A fantastic location which appeals to all ages! 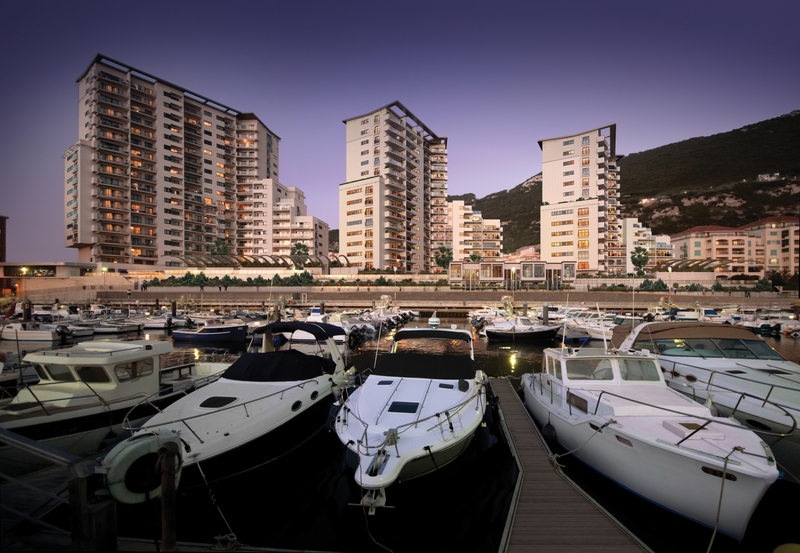 King’s Wharf is a spectacular modern development situated at Quay 27 on Queensway, Gibraltar. Built in 2012 by the Montagu Group, this impressive building sits right at the water’s edge and its modern apartments have been designed to make the most of the light and the spectacular views that this perfect location affords. With a southwesterly aspect, not only does it make the most of long hours of daylight, but the views take in the beauty of the Bay, the hills of Spain and the brooding presence of the mountains of Morocco.